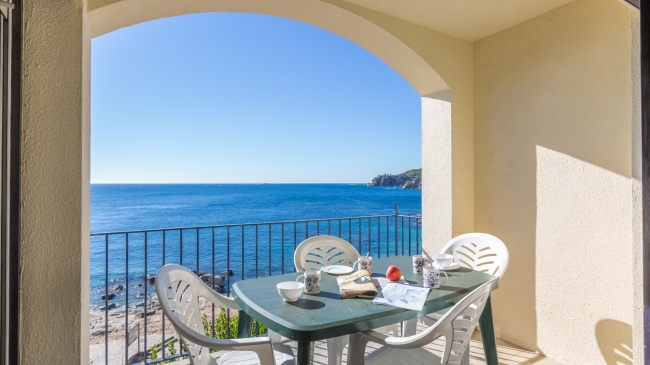 Apartment located seafront in Calella de Palafrugell and 100m from the town center. 2nd floor. It has 3 bedrooms (1 double, 2 single beds; bunk beds), kitchen (dishwasher, oven, microwave), 2 bathrooms (showers), washing machine, living room (TV, fireplace), terrace overlooking the sea. Garage for small car. House divided into 2 apartments. 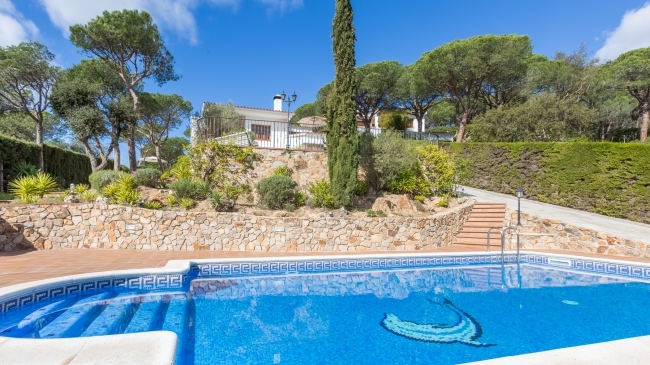 This is the 1st floor, located in Llafranc 300m from the beach and the center. It has 3 double rooms and 1 single room (1 suite with shower and 2 beds 90 x 190), a room with 2 beds 90 x 190, another with 2 beds (80 x 180 + 90 x 190) and pool view, and a last with a bed of 90 x 180), another renovated bathroom with shower, living-dining room (TV, fireplace), equipped and renovated kitchen (vitroceramic, oven, microwave). Community pool. Quiet area. 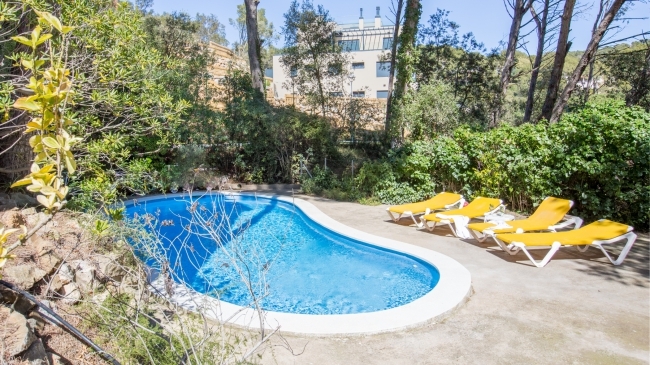 Villa (110 m2 + 1200 m2 for plot) located in Lloret de Mar, 9 km from the beach and the centre of Lloret, in the quiet residencial area of Aiguaviva Park. 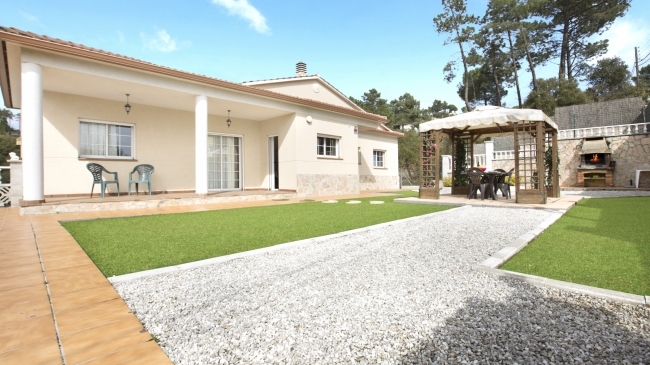 It has 4 double bedrooms (1 double beds 135x180cm; 6 single beds 90x190cm),a living-room (TV; fire place), a kitchen (dishwasher, washing machine), 2 bathrooms. Private pool (8 x 4 m) , barbecue. Parking (2 cars). Optional electrical heaters (not included. Extra price for using it: 50 euro / week).